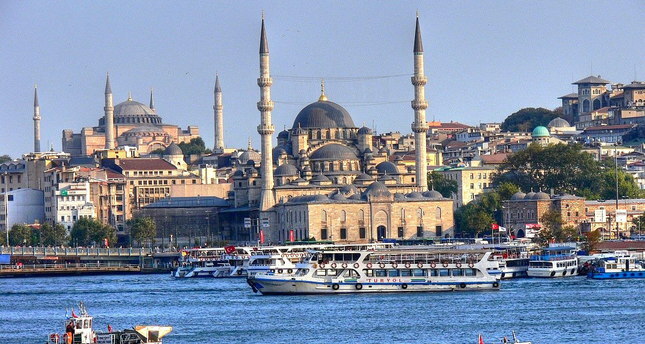 Istanbul yesterday hosted the first day of a three-day international conference on the Levantine community in Turkey. Scholars from various countries and Turkey will present papers about the community that dates back to the Ottoman times at the event organized by the U.K.-based Levantine Heritage Foundation. The conference titled "The Levantines: Commerce and Diplomacy" will see debates and presentations on a wide range of issues related to Levantines, from their role in innovation in the Ottoman Empire in arts, architecture and other fields to their commercial and diplomatic relations. Scholars including British historian Philip Mansel, Dr. Richard Wittmann from Orient-Institut Istanbul and Paolo Girardelli from Boğaziçi University delivered presentations at the conference. The British Consulate-General, the Italian Cultural Center in Istanbul and several foundations are sponsoring the event. In a press statement ahead of the conference, Quentin Compton-Bishop, a senior official of Levantine Heritage Foundation said the Ottoman Levant, which covered an area from the Balkans to Egypt, had an influence that extended far beyond the borders of countries currently occupying that area. "The Ottoman Empire was made up of many different ethnic groups and they were joined over the centuries by traders and diplomats from every part of Europe, from England to Slovenia and many of them settled in the region and intermarried with the local population," Compton-Bishop said in his introduction to the Levantine history. "In recent years, it has become common to refer to these European settlers in Ottoman lands as Levantines. However, research into the cosmopolitan world of the Levantines is still in its infancy and much remains to be discovered about their way of life and their legacy," he said. Although their faith and ethnicity is diverse and their history is traced back to Genoese and Venetian traders that settled in present-day Turkey in the 14th and 15th centuries, the term Levantine is mostly used to refer to Catholic French and Italian communities that settled in the Ottoman territories in the last two centuries of the Ottoman Empire. Levant is a French term for the Eastern Mediterranean region.